Click Here to see all the paintings in the series. 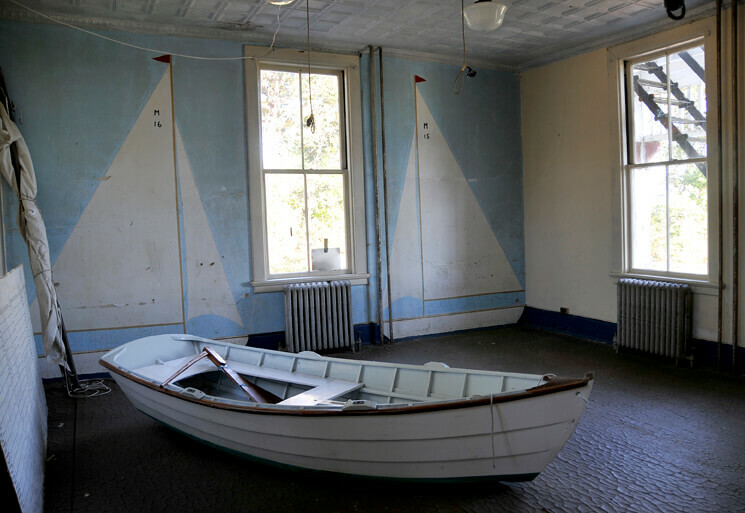 The museum had begun to move some of its acquisitions into the future home, and I found a particularly symbolic beauty in the dear old row boat that was resting against the standpipe in the downstairs hallway. 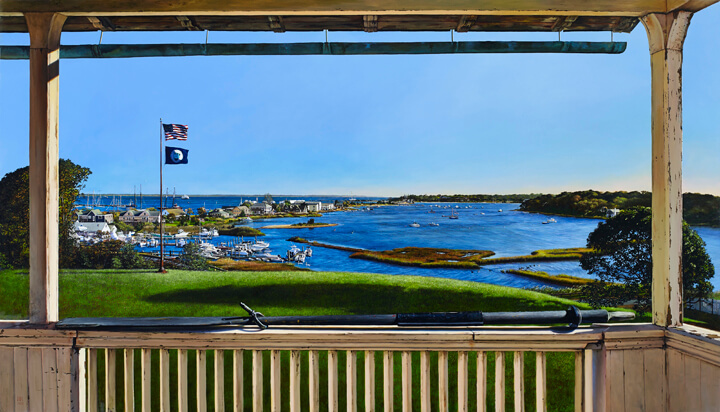 Through the open door behind it you could just catch a hint of the mural depicting the “Sweet 16” Menemsha wooden sailboat. A real life version of which is tarped over and grounded on blocks outside and just around the corner. Though a fair enough challenge to capture the building and the boat faithfully in all their weathered-chip-painted glory… I had a blast painting them both.